The Tax Cuts and Jobs Acts (TCJA) of 2017 introduced the qualified opportunity zone (QOZ) program under new Internal Revenue Code (IRC) Sections 1400Z-1 and 1400Z-2 to promote economic development in financially distressed areas within the US. A “qualified opportunity zone” (QOZ) is defined as a “population census tract that is a low-income community” designated by the State in which it is located. The Governors of the respective States designated the QOZ census tracts which were certified by the Secretary of the Treasury. See map https://www.cdfifund.gov/Pages/Opportunity-Zones.aspx to determine where QOZs are located. There are approximately 8,700 designated QOZs in the US. A state designation as a qualified opportunity zone shall remain in effect for the period beginning on the date of the designation and ending at the close of the 10th calendar year i.e. December 2028. If you would like to learn more about the programme, click here to download Frank Hirth’s webinar slides on Qualified Opportunity Zones. 1. Who should be most interested in Opportunity Zones? 2. What capital gains are eligible for deferral for a US person vs a Non-US person? An investor in a QOF may defer recognized capital gain by reinvesting an equivalent amount of cash in equity of the QOF within 180 days of recognizing the gain. The realized capital gain must be from a sale or exchange with an unrelated party. The related party rules have been adjusted for QOF purposes ONLY under sections 267 and 707 from 50% to 20%, e.g. in the case of an individual the gain must have been recognized on a disposal to an unrelated individual or to an entity less than 20% owned by related individuals. 3. What does the term “qualified opportunity fund” (QOF) mean? on the last day of the taxable year of the fund. qualified opportunity zone business property. *Qualified Opportunity Zone stock or partnership interest means any corporation or partnership that is acquired by a QOF for an equity interest and is qualified as a QOZ business. 4. What does the term “qualified opportunity zone business” (QOZB) mean? businesses which are not private or commercial golf courses, country clubs, massage parlors, hot tub facilities, suntan facilities, racetrack or other facility used for gambling, or any store where the principal business of which the sale of alcoholic beverages for consumption off premises is. 5. 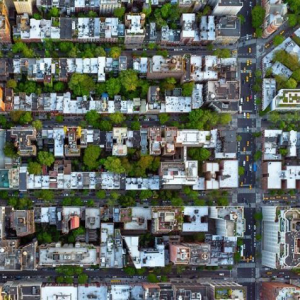 How can the impact of Opportunity Zones be maximized for the investor? In the year of recognition, the initial capital gain** realized is deferred; initial basis in QOF is $0. If the QOF investment is held for five years, taxpayer gets a 10% step up in basis; if for seven years the taxpayer gets a 15% step up in basis; this effectively excludes either 10% or 15% of the initial capital gain from US tax dependent upon the holding period. If the QOF investment is held for at least 10 years, taxpayer gets a step up in basis to the fair market value (FMV) of the sale therefore eliminating any capital gain on the appreciation of the QOF investment when sold. **US Federal Income Tax must be paid on the initial capital gain reinvested on the earlier of the date the taxpayer disposes of its QOF investment, or December 31, 2026. To gain full benefits of the program a taxpayer that invests in a QOF in 2019 and holds its investment for at least 10 years will be able to obtain maximum deferral, obtain the 15% exclusion and receive a basis step up to FMV on the disposal of the QOF interest. To learn more about the programme click here.